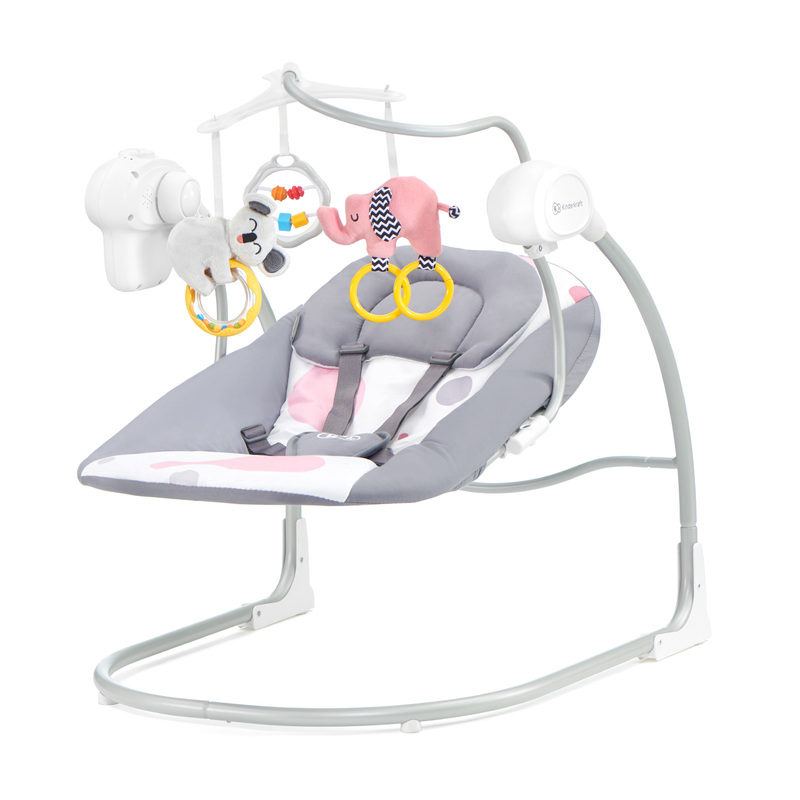 Electrical swing with a panel , carousel and 3 developing toys. 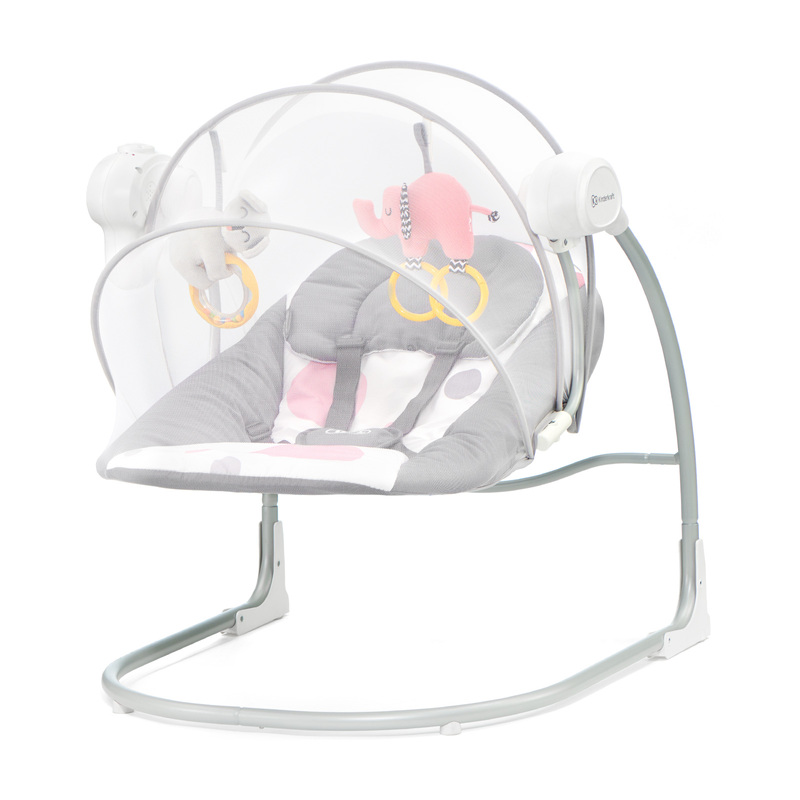 Stimulates child's development and provides parents with a moment for rest. 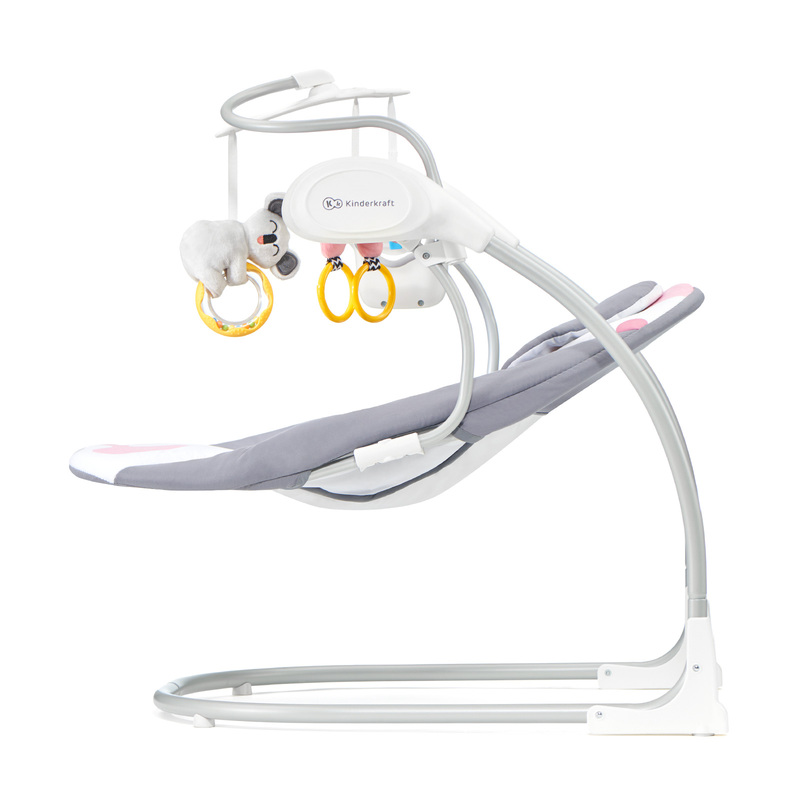 It light structure makes it easy to handle. 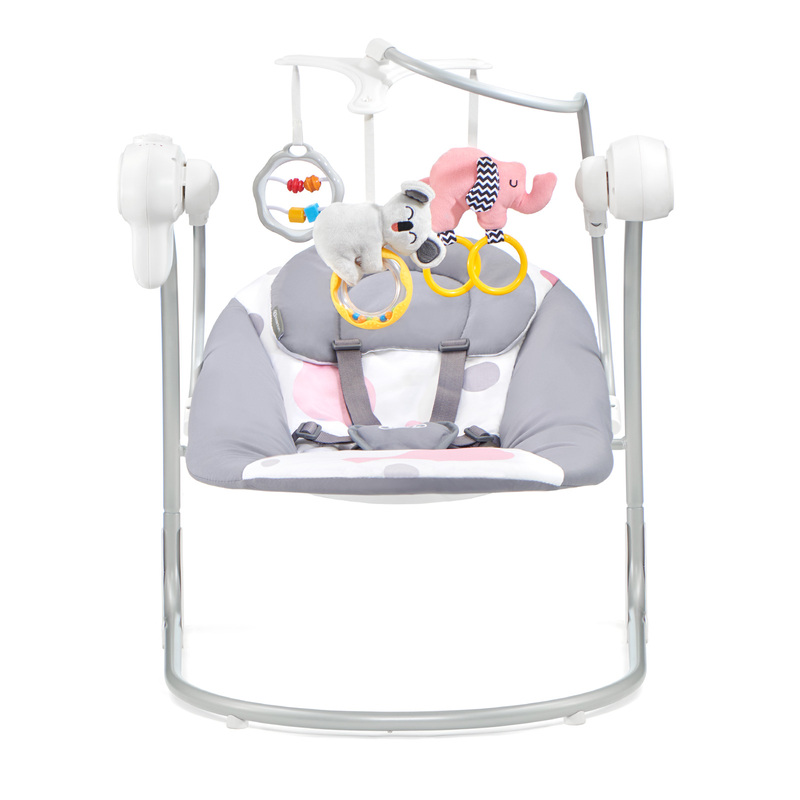 Child safety is ensured by 5-point harness with pads. 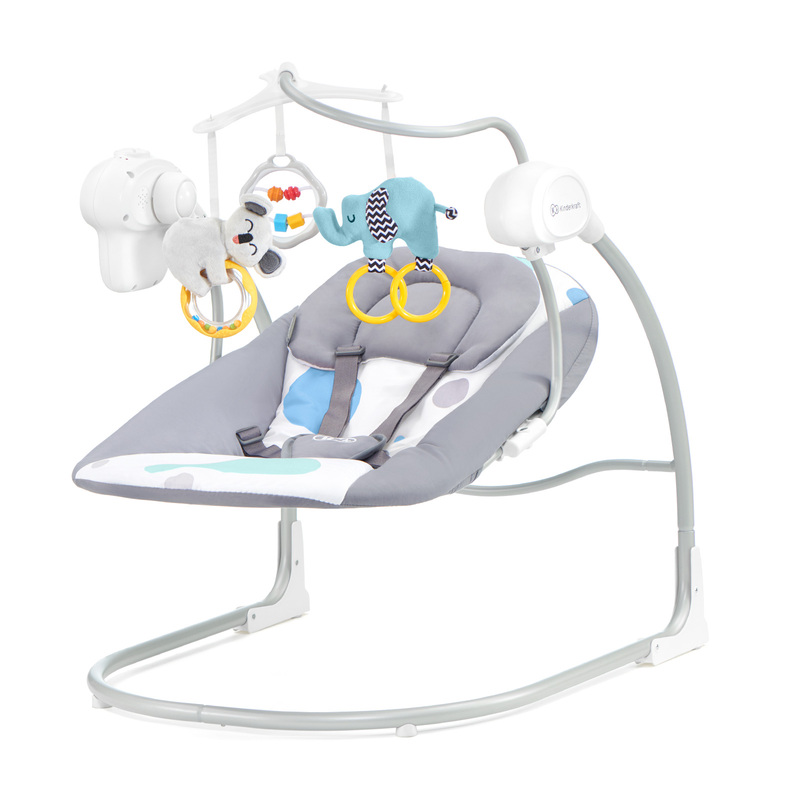 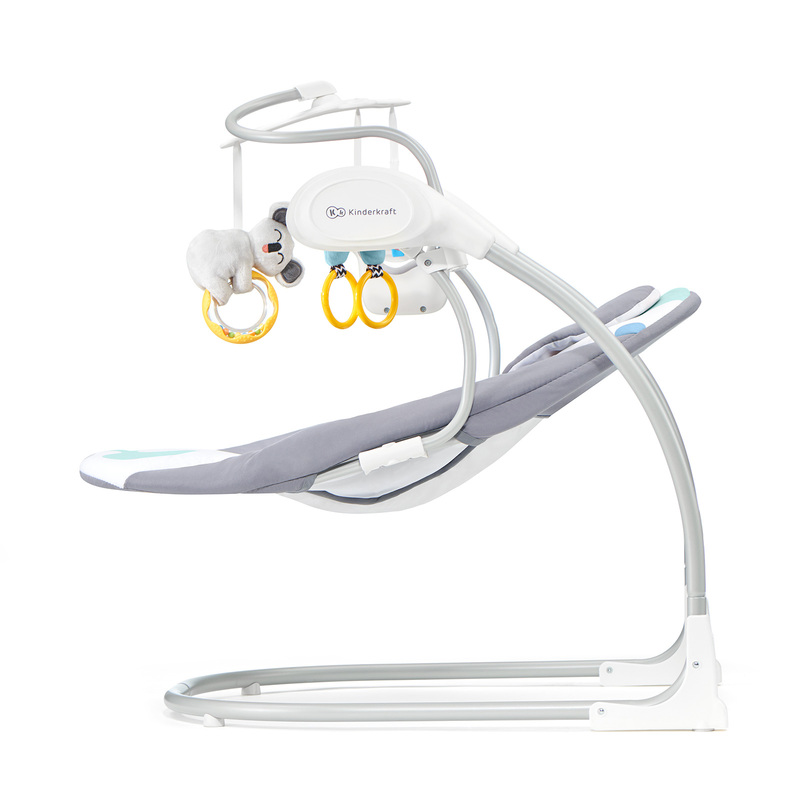 Automatic swing with 3-level adjustable speed and time setting option: 10, 20, 30 minutes. 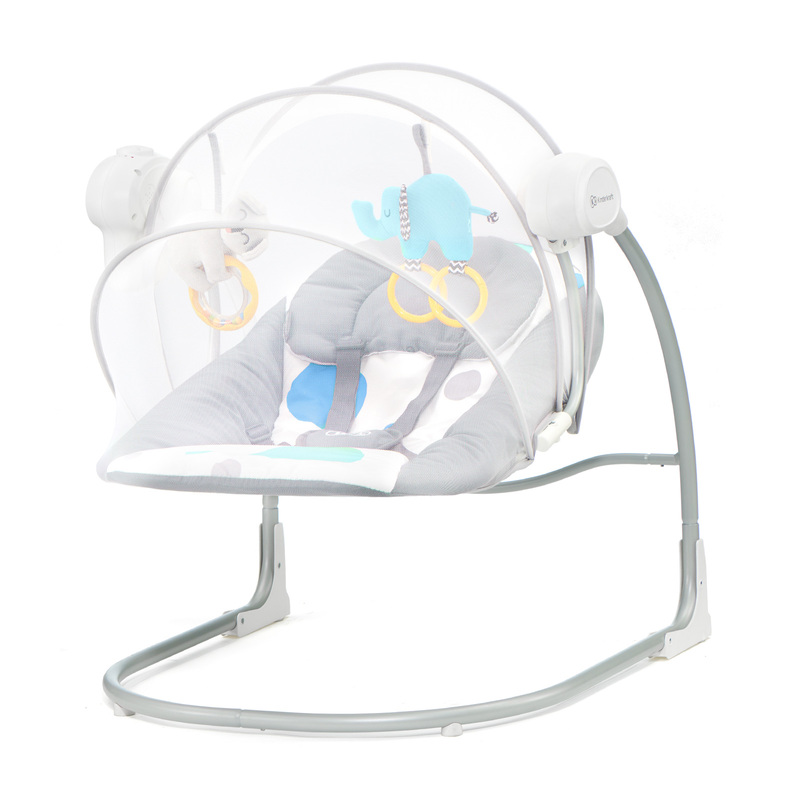 Plus 8 soothing melodies, including some sounds of nature. 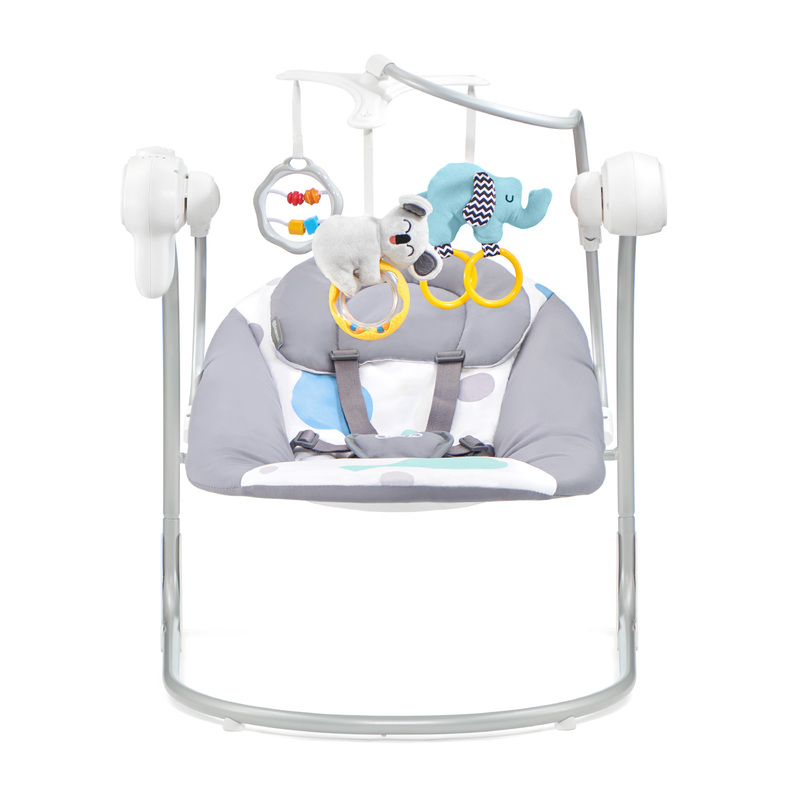 Includes a toy carousel (manually propelled) with: an elephant with rustling ears and handles, koala and rattle.